Sleep Apnea Devices - 7 Important Things to Know! Sleep Apnea Devices – 7 Important Things to Know! Sleep apnea is an interruption in breathing for at least 10 or so seconds at a time, several episodes a night. Although one may awaken at times to gasp for a breath, doing so is rarely remembered by morning. If a loved one is complaining about loud snoring coming from your side of the bed, take it seriously as snoring is sometimes an indication of sleep apnea. 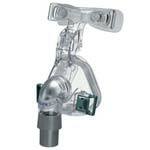 Sleep apnea devices as well as stop snoring products have come to be more commonly used today. Natural sleep remedies are often used with and without sleep apnea devices. 1. The purpose of some sleep apnea devices is to change the position of the lower jaw in relationship to the tongue and palate which may inhibit oral collapse adding to blocked airways. 2. People suffering from untreated sleep apnea are apt to suffer from narcolepsy, depression, obesity, physical discomfort and more. 3. A CPAP machine (continuous positive airway pressure) is one of the more common sleep apnea devices used for apnea conditions. This machine projects a continuous air flow to the lungs which will open obstructed airways for optimal breathing while sleeping. 4. Although a sleep apnea dental appliance was originally used for snoring problems, this small mouth fitting device was discovered to have a positive effect on mild to moderate sleep apnea conditions when a few design changes were made to the devise. 5. There are dentists specializing in sleep apnea and the several types of sleep apnea devises appropriate for specific conditions. 6. Sleep study laboratories at many hospitals conduct sleep studies, or polysonograms, to determine various sleep disorders including apnea. Body movement, heart rate, brain waves, oxygen and more are all monitored during a polysonogram. 7. If a doctor prescribes a CPAP machine, this device should always be used when sleeping, as well as napping.